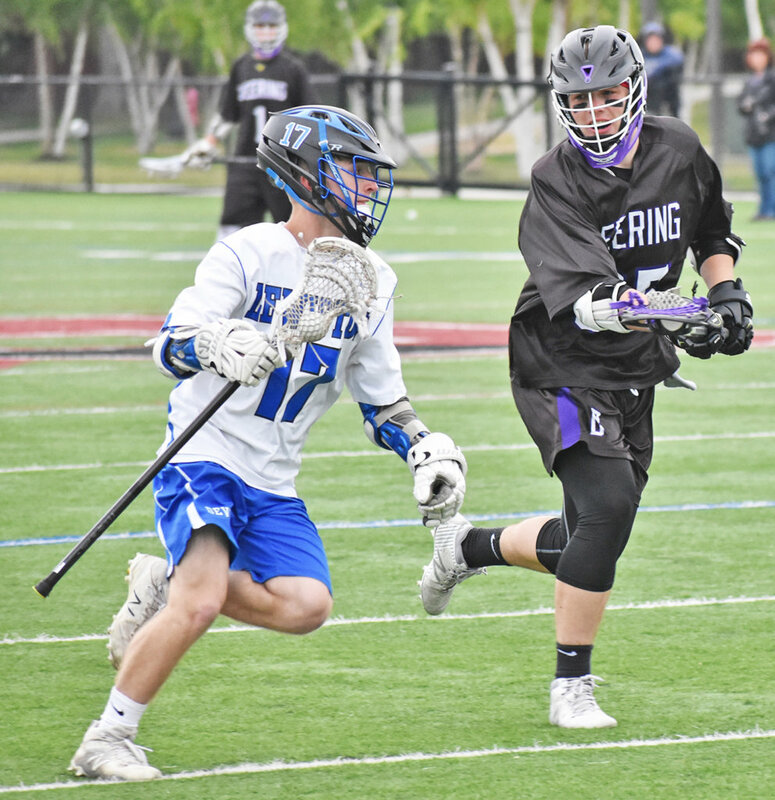 Gunnar Wade entered his senior season with a larger leadership role and looking to prove that he could help Lewiston maintain its run of boys’ lacrosse success. 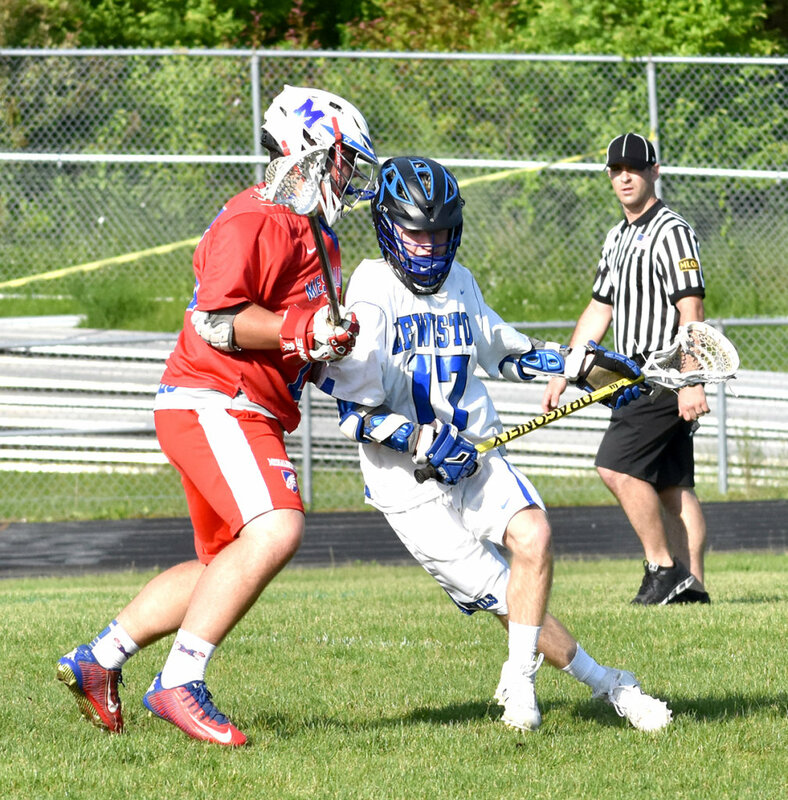 Wade also took on a bigger role within the Blue Devils’ offense, finishing with 31 goals, which was second on the team. He was equally valuable setting up scores, tallying a team-high 37 assists. Wade played attack for the Lewiston varsity team for four years, and during that time he became accustomed to setting up the team’s other scorers. He’s also come to enjoy assisting on goals more than scoring them. It’s hard to mention Wade (32 goals, 22 assists) without also mentioning Wilson. In fact, Wade refers to his fellow senior several times while looking back on the season. The two started playing alongside each other long before high school, and their roles and skills are similar — they’re both lefties who play attack and can score and assist at a high level. Wade and Wilson, along with fellow seniors Garrett Poussard, Ryan Bossie and Brayden Charest helped the Blue Devils again be a force in Class A North. Lewiston went 10-4 and reached the region semifinals. 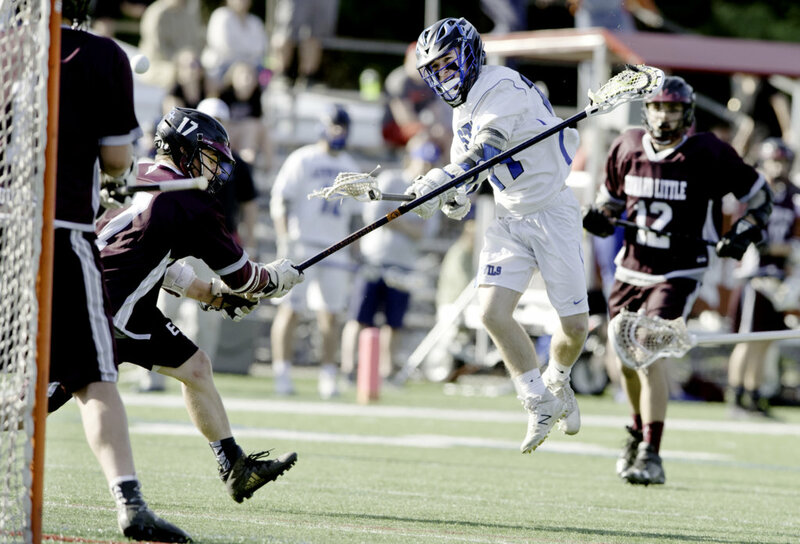 The Blue Devils gave eventual state champion Thornton Academy a scare in early May, and then won their final four regular-season games to earn a home A North quarterfinal game against Deering, which they won 15-9. Individually, Wade passed up assistant coach Jon Fournier as Lewiston’s all-time points leader with 304 (127 goals, 177 assists). Wade will continue his lacrosse career at St. Joseph’s College in Standish, where he plans to study Business Adminstration.